In this and the up-coming Q-A Papers and Papers the relationship between the Genergetics, Physical UltiMate Atoms (PUMAs) and the human mind energetics will be discussed further. “The term ‘Genergetics’ is composed to explain the principles of the underlying gene energy dynamics involved in the evolution of the cellular genetic material (chromosomes). 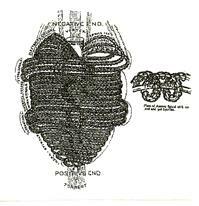 A MIND or E-M-IND (Electro-Magnetic INDuction) interference between the spirit and physical energies is the initiator and propagator of the evolution of all forms of planetary mindal life. Out of this vortex interference the two major vortex energy forms evolve – the Male and Female genders. In the Septembers Paper #82 the Genergetics or gene energetics has begun to be discussed. In this and the following Q-A Papers the focus will be mainly kept on the evolution of the planetary mind. In the previous Q-A Papers (see Q-A Paper #71) the question was raised and discussed as to what and where is A MIND (E-M IND). In the Q-A Paper 70 we read further:” The working definition of A MIND is Electro-Magnetic INDuction (E-M IND), i.e. the electro-magnetic phenomena induced by the interference between two different energy phases. In terms of the evolution and creation these phases are referred to as “as above (spirit phase) so below (matter physical phase)”. 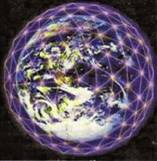 In-between vortex hemispheric interference plane manifests as A MIND (E-M IND). It has been already stated that in the Supreme universe of time and space the unqualified energy descends and materializes along the ultimatonic (PUMA)-electronic-atomic axis, via their spin CHARGE and POLARITY, where their two basic Male and Female ultimatomic vortex energy patterns decelerate and materialize. Electrons then further gather in composing the character of the chemical atoms of the (with)in-organic periodic system. The above M-F energy patterns manifest all the way ‘down’ to the planetary non-life PUMAs of the geo-magnetic electro-chemical inorganic matter and then ‘up’ in the ascending evolutionary differentiating organic life energy forms (along the axis of the Nebadonia’s initiation mind spark-Life Carriers-Adjutant Mind Spirit circuits- carbon based DNA planetary organic evolution of life).